People don’t usually expect my response to the question, What else are you going to do besides wait tables? It took a moment to nail down the specific date. I’ve worked in the service industry for over a decade, starting at a 1940s burger joint and evolving into the fine dining category. Along the way, I realized how much fun wine could be, how easily I could sell and talk about it, but also how much history and specificity came with the grape. I never thought much about a career in wine because I was just out of college with a teaching position and that ingrained desire to fulfill the 9 to 5 requirement. 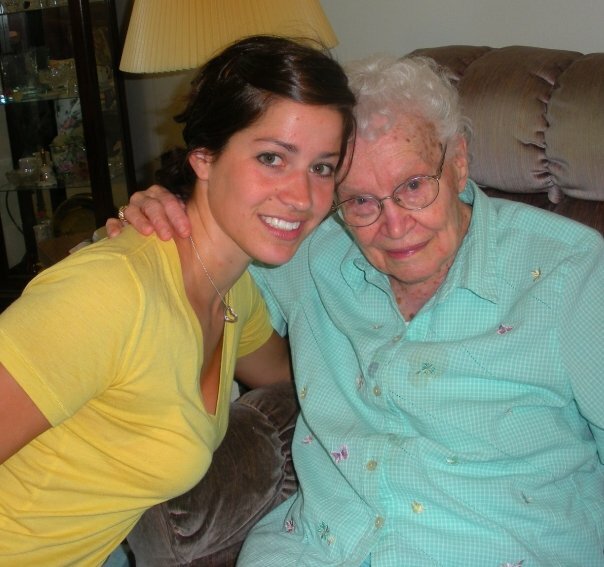 Then I flew over to Walla Walla, Washington for my great grandmother’s birthday in April 2009. Many of my cousins also attended the family reunion and while we were catching up at a casual dinner, my cousin Keggan’s friend Chad happened to mention that he was in charge of a small vineyard named Buty. I was working part-time at a wine bar in Annapolis, MD at the time, so I was very interested in seeing the fantastic wines of Washington. Several of us made plans to go for an afternoon of tasting the next day before Grandma Huff’s birthday party. We first visited where Chad worked and met the owner, Caleb, at the Buty tasting room, all the while sipping and swirling. We ended up going to several other tasting rooms and met other young people who were in the wine business. I remember at this one tasting room, Synygy, my cousin Caitlin got to talking with the guy who was pouring and he mentioned he was in his first year of sommelier training. 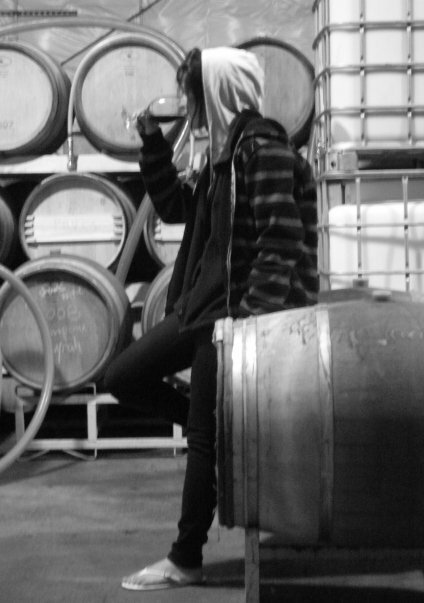 I was immediately taken aback by his young age and interest in wine almost as if I was jealous or something. Why wasn’t he doing something more traditional? How could wine be a career? I didn’t think much more about the phenomenon until the end of the afternoon when our tasting party sauntered back to Chad’s house for more cheese and wine. Chad graciously popped bottle after bottle of amazing, expensive wine and everyone sat outside in the warm spring air. I’m not sure if it was the company around me, the wine, or just the entire situation, but I stood outside apart from the group and got a little misty-eyed. This is what I wanted to do! I hated teaching and feeling like I was trapped in a career going nowhere. How was it that these people in Walla Walla were able to find happiness when I was so void of the emotion? It was right there in Chad’s backyard with all my cousins around me that I decided to pursue a career in wine. Grandma Huff’s birthday brought me over from Maryland to Washington state and showed me how an unconventional career could bring about more joy and satisfaction than anything I studied in college. I went back to Walla Walla in August to see more of Buty and experience the vineyard portion of the wine making process. All of this solidified my determination to continue my wine pursuit. My great-uncle introduced me to several wine makers that he knew and I was able to pick their brains about the industry. And before I left the agriculture town, I went to visit Grandma Huff one more time. I told Grammy about how I made a choice back in April to switch career paths and how I never would have allowed myself to be so bold if I hadn’t attended her 100th birthday. When I left Walla Walla, I called my teaching job and quit. 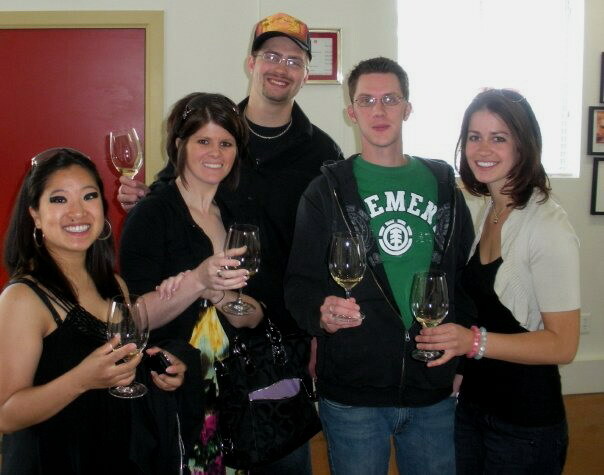 Then I moved to Boston where I began to intern with a wine events website. It’s been over a year since the move and I’m currently working at an amazing new restaurant called Noche as a server by night and a wine buyer by day. My wine education is moving forward slowly but surely. I’m studying under the Wine and Spirits Education Trust with the intention of briefly moving back to Seattle to complete my sommelier classes sometime next year. Grammy passed away the beginning of October 2010 as a 101 year-old woman. I’m extremely grateful that I took a weekend to visit my Washington family and see first hand how vast the wine industry truly is. I owe my career decision to Grandma Huff and her family reunion birthday party. You are currently browsing the Lersif blog archives for October, 2010.